Come to AFROPUNK London 2017 to feel the music, free your mind, and enjoy an incredible lineup of ground breaking icons and emerging talents. With a mix of music, art, and politics, don’t just join the party—join the movement. Come to Paris 2017 to feel the music, free your mind, and join the movement, enjoy an incredible lineup of ground breaking icons and emerging talents. Get your tickets to a unique celebration of music, art, culture and all things creative you will ever experience. Be free, let your imagination run wild and immerse yourself in a cultural movement like nothing else. 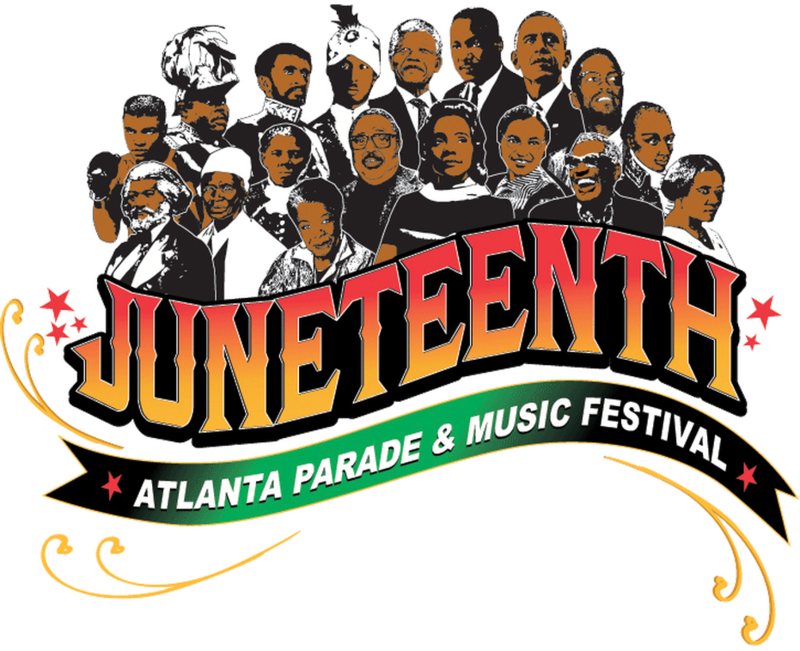 Join us for the fifth annual Juneteenth Atlanta Parade & Music Festival 2017 for an entire weekend of family, friends, and fun. Bring your camera, chairs, blankets, pillows and most of all your self-love. We will have everything else set up and waiting for your arrival. Food, beverages and coolers of any kind are not allowed. Come prepared to support our vendors! African People Owned Businesses Matter! I AM ATLANTA 2-DAY EXTRAVAGANZA, is a weekend you don't want to miss! Independent fashion designers will showcase their collections in front of potential retailers and celebrities. Enjoy cocktails, vendors, live entertainment, VIP seating, gourmet bites, and much more. Followed by our day party celebration, on day 2. I AM ATLANTA is a collaborative entertainment fashion event to celebrate up and coming entrepreneurs in the creative industry, by showcasing and highlighting their talents, through beauty, music, and entertainment. !!!!!!!!!!!!!!!!!!!!!!!!!!!!!!! !FREE ONLINE DAY PARTY ADMISSION!!!!!!!!!!!!!!!!!!!!!!!!!!!!!!!!!!!!!!!!!!!!!!!!! The Charlotte African-American Festival is a celebration of the rich heritage and accomplishments of the African-American Community. The festival includes musical performances, art, literature, food, dancers, drummers, a pageant, speakers, vendors, and special awards and recognitions and much more. Special attractions include a journey through the Underground Railroad with a Harriet Tubman impersonator and the Black History Walk of Fame which features impersonations of famous African Americans. Proceeds raised by The 5th Annual Charlotte’s African American Festival will provide academic and technology opportunities for Charlotte youth. Programs have been provided for Charlotte-Mecklenburg Schools, The Mecklenburg County Park and Recreation Department, The Charlotte Housing Authority and a host of community organizations and private schools. Formerly The Black History Walk of Fame. This year’s conference will focus on empowering Black men through stories of persistence from several dynamic Virginia Tech alumni while giving non- black males insight into the lives of Black males. The conference will feature multiple breakout session’s targeted on helping faculty/ staff support Black male students. Breakout session topics will range from student- athlete development to student spiritual development. The success of this conference will depend on the participation and engagement of the Virginia Tech community as well as guests from our region. ALL are invited to participate at NO COST. Be a part of the hottest expo everyone is buzzing about!! By registering you gain access to our Ultimate Contest featuring weekly giveaways and other amazing bonuses ($500+ value)!